This was a big Celebration- Grandma was SO excited about it! She looked forward to it for months! She told us last year on her 89th that if she made it to 90 she wanted a BiG Party!!! So....That is what her kids did for her! Rented a hall, she wanted a band- with a Fiddle player, had a fabulous meal catered- and desserts were made. I was fortunate enough to be the one they asked to make her 'Big Cake' as there were other desserts as well! Grandma smiled the whole day- She really deserved this party! 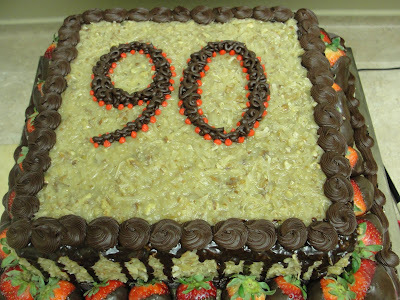 I had asked my kids if we should buy the 9-0 candles and my oldest said- "No, I think there needs to be 90 candles on the cake." So away I went buying about 5 packs of assorted candles! I was so excited to see the 90 candles getting lit- And then how sweet for her kids to help her blow them out! There was such a Fabulous turn out. Such a joyous occasion! We had almost all of the family there- Which was Awesome! 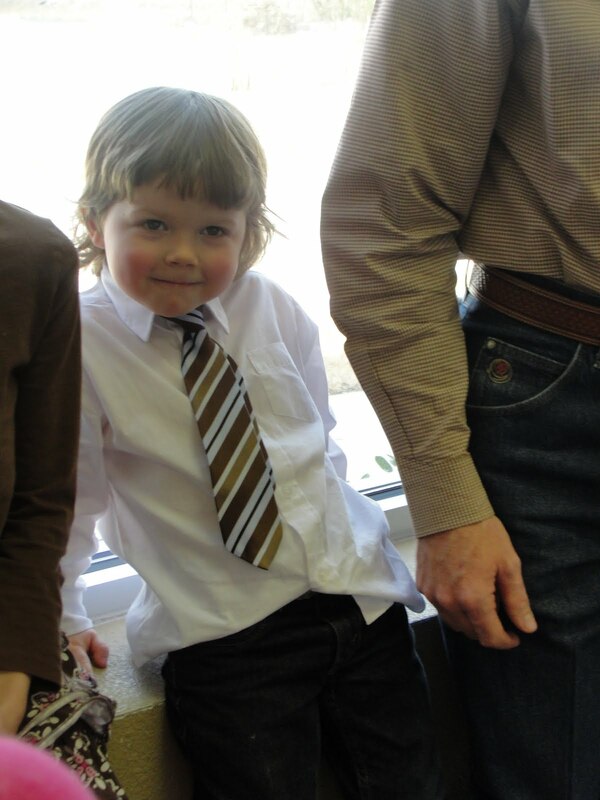 My little man was SOOOOOO excited to wear a tie he had given to him at Christmas! He had been asking to wear that tie almost every Sunday and I didn't have the shirt ready for him---so for this day--He wore his tie and Proudly! He was most excited when he saw his Grandpa was wearing one too! He was so happy to be at Great Grandma's 90th Birthday! My daughter was delighted to share in her day as well- We had talked about it for a long time. Sweet sweet photo of the two of them. I was very delighted to see that a Fabulously Restored 1936 Chevy High Cab truck was driven up for Grandma to pose by. I'm sure there are photos of her somewhere either driving or standing by a truck like that in her late teens or early 20's. They don't make vehicles like that anymore. Trucks today lack character, and so do some people. 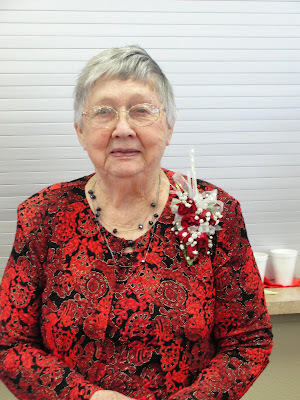 This day though- We celebrated a lady with Character- one that raised 9 kids, and a lot of grandchildren too- and is around to see their offspring in her great grandchildren---- They don't make them like her anymore either! I love my grandma. I wore this dress just for her- She told me how pretty it was and if she was skinny enough to fit in it she would steal it from me- I said " no ma'am- I would give it to you!" 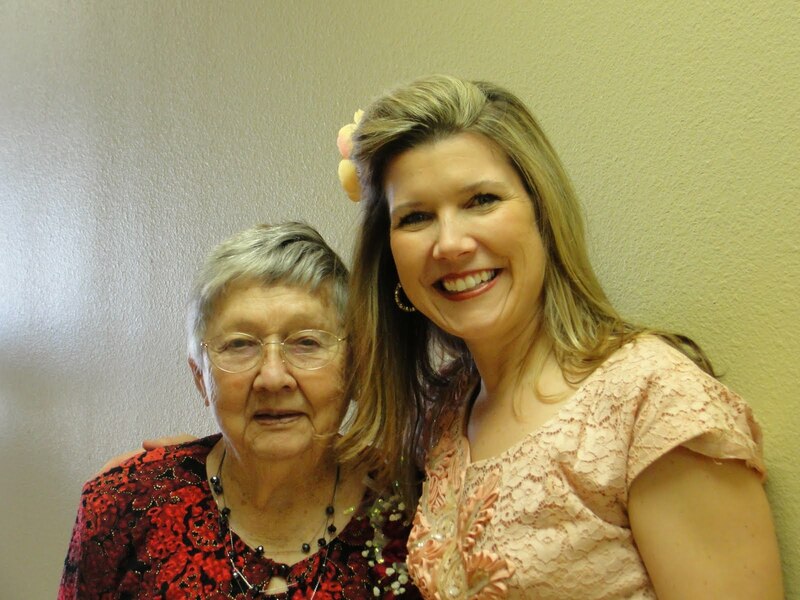 Grandma asked me to dance with her- What a Treat! We scooted around the floor a bit. The band was terrific- but the Treasure we celebrated that day was irreplaceable! Can't wait to celebrate a 100!!! Aww Suzanne how sweet! She looks so great!! Tell her Happy Birthday and glad her day was as special is she is! 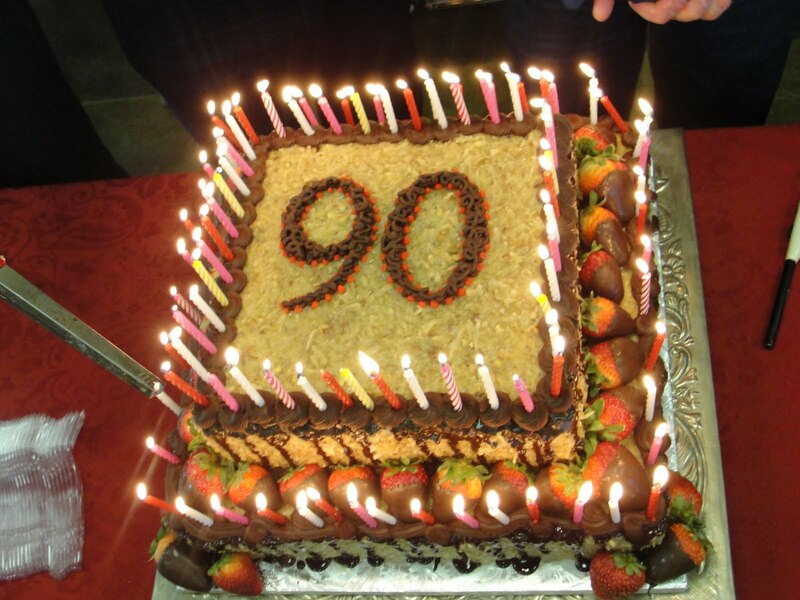 ... A true blessing to celebrate 90 years! Your family is Blessed in so many ways! Enjoy every minute with all of them. 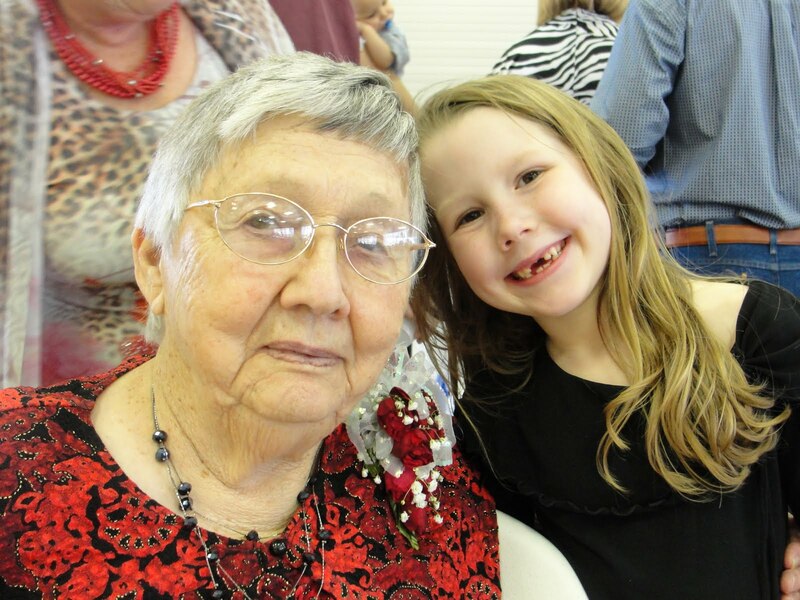 You are so so blessed to still have your grandmother with you. I lost mine many years ago and still miss them so. I wish her many more years of happiness with such a great family. BTW, I'm sure that cake was absolutely devine!! Saw you on the Texas Blogging Gals list and came to visit. 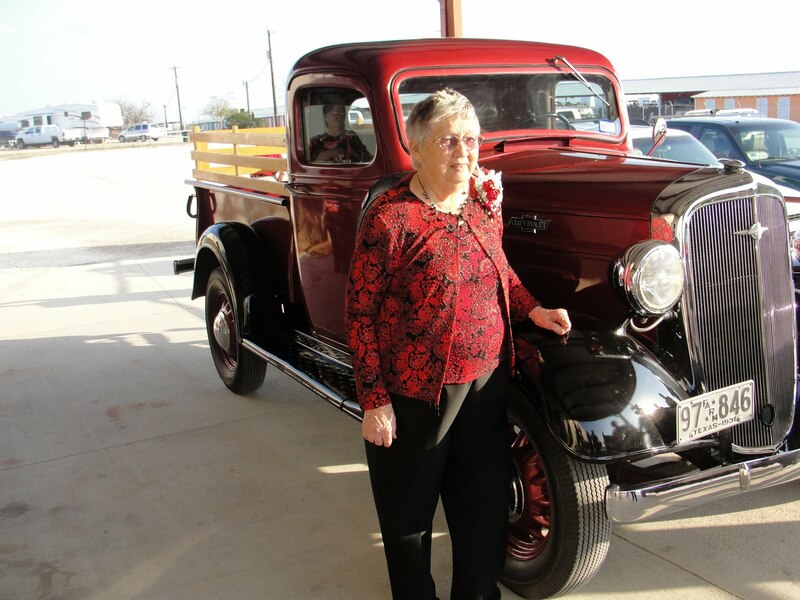 When I saw the photo of your grandmother standing by that cool ol' truck, I thought I must be looking at the wrong one because she doesn't look 90 at all. No kidding! And she's right, that is a beautiful dress. How blessed you are to have your grandmother.